Objections pose serious challenges when selling to health care professionals…and serious opportunities. 1. Selling to highly intelligent and educated professionals who are experts in their fields. 2. Dealing with buyers whose decisions impact patients’ lives. 3. Lacking confidence due to no formal training in handling objections with health care decision-makers. Objections can occur anytime during the sales process. The medical sales representative must be able to handle these objections in a self-assured way that allows the health care provider to feel confident with his or her buying decisions. Your sales team will learn techniques for avoiding objections whenever possible. But handling objections is one of the essential selling skills that will often determine whether there will be a sale or not. This one-day program is a combination of interactive classroom time, and training in the Sales Simulator™. By the end of this program, attendees will not only know effective techniques for handling objections from their health care customers – they will respond with confidence! 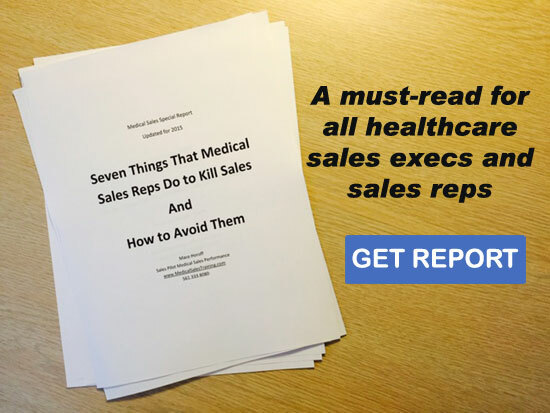 Handling Objections in Medical Sales is an excellent choice as a breakout session at your national sales meeting or during new representative training. Call Sales Pilot at 561.333.8080 or email us for more information on how we can maximize medical sales performance for your sales personnel.